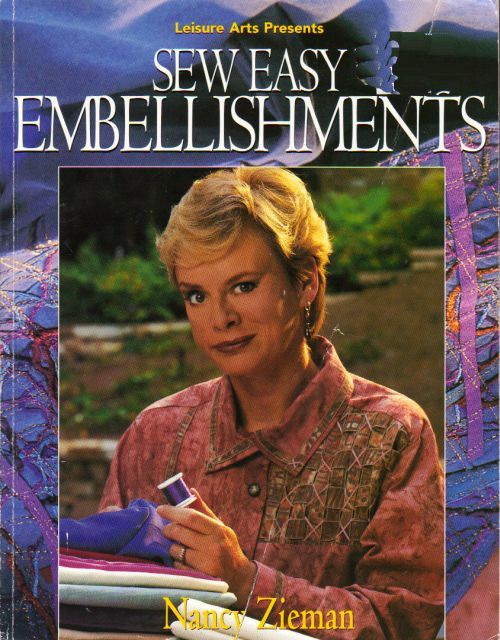 Using full-color photos and clear diagrams, Nancy Zieman leads readers step by step through a variety of embellishments, offering her signature Notes from Nancy to teach shortcuts and time-saving methods. Instructions for approximately 50 projects, including clothing, table linens, and wall hangings, are included. 1997 Paperback. Front cover was folded and creased on the shelf. Binding is sound and tight. Insides are clean and unmarked.